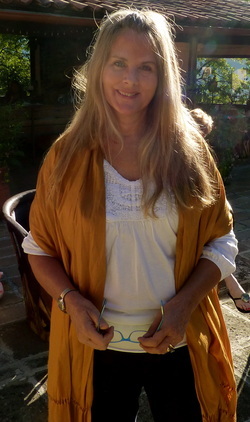 She is the owner of Wisdom Tree Enterprises, through which she does consulting on integrative healthcare, facilitates healing retreats, and pursues her writing. 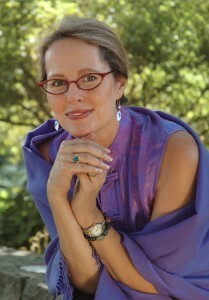 She is involved in bringing awareness to all life stages and challenges from re-imagining aging, living well with cancer, holistic parenting, empowering women, and healing chronic illness. Her "Transformational Healing" consultations are empowering people to make healthy choices and develop an understanding of their own personal power in healing. Her passion is to understand the important links between increasing conscious awareness and improved levels of health and healing. Always the innovator, she continues to pursue new levels of understanding of the ultimate potential in mind body healing. astutely comprehensive at the same time. adjusting to, and recovering from surgery. She guides her listeners into creating a way to make the surgical process itself a safe and desirable journey. When they come out of their surgical procedure, they will be able to condition themselves into healing their bodies and feelings, as well as being sure to get enough nourishing rest. 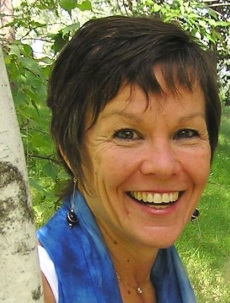 "Glenda’s Guided Imagery CDs have enabled me to tap into a journey connecting my body, mind and heart. Glenda’s melodious and soothing words, accompanied by beautifully selected music, provide the perfect combination for exploring a place of strength and hope. Sometimes in life it’s difficult to find that place which will help you relax and heal. 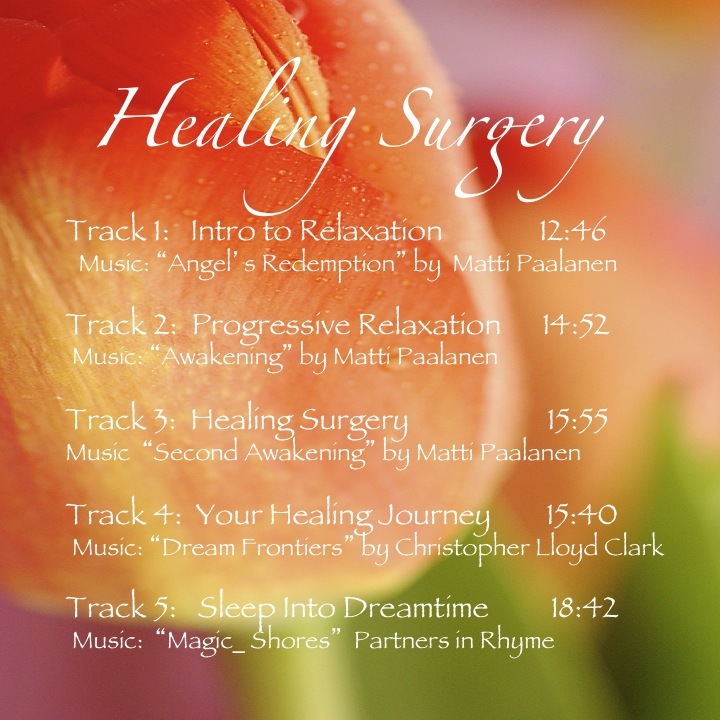 Before, during and after a recent surgery I listened daily to the CDs and experienced those innate abilities to effectively explore the love, energy and peace within." 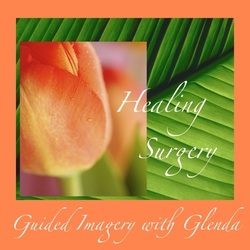 "I recommend Glenda Cedarleaf’s guided imagery CD’s to help you heal yourself and to prepare for your surgery. They can help you heal more quickly, more comfortably, and more completely from whatever ails you. Use them to get in touch with the healer already inside of you." This series will guide you through relaxing exercises and healing images that will prepare you at a deep level for your procedure. On June 26, 2010-Dr. Andrew Weil's tip of the day describes the impact of guided imagery on healing surgery. "Guided imagery is the practice of concentrating on vivid mental pictures - which may be evoked by a practitioner or by an audio recording - to promote healing. If you are considering or facing surgery, you may want to add guided imagery to your list of preparations. 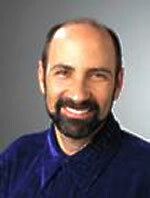 If you wish to try guided imagery, consult an experienced practitioner about your challenges and goals. You may also choose to create and play personalized imagery CDs or MP3s both before and after surgery." Music by Matti Paalanen "Angel's Redemption"
Music by Matti Paalanen "Ultima-Awakening"
Music by Matti Paalanen "Second Awakening"
and transitions in her work with Hospice, Home Health, 2 Integrative Health Centers and currently has a private practice in Raleigh and New Bern, North Carolina. Her CD "Healing Surgery" is sold at the Mayo Clinic Medical Store. ﻿Contac﻿t Glenda for reduced rates for bulk purchases and affiliate sales partnerships and licensing to hospitals.